It’s no secret that I’m not particularly crafty. Perhaps I should rephrase that – I’m not particularly resourceful when it comes to craft projects. Sure, I can see the possibilities in a pile of pipe cleaners or a new and exciting future for a bunch of empty toilet rolls… but I have never had the urge to act on those possibilities. Give me ‘craft’ that is already half-done and can be completed in a jiffy and I’ll happily get out the scissors and glue. Yes, We Are Paper Toys is much more my craft speed. Compiled by graphic designer Louis Bou, We Are Paper Toys presents paper toys from thirty-two of the finest paper toy designers in the world. 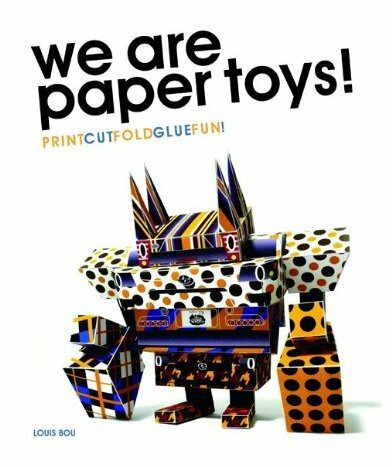 Photographs, sketches, instructions and interviews with each of the artists are included as well as a CD with PDF templates of more than eighty paper toy designs for you to print, cut, fold, colour and glue yourself. The inclusion of sketches and interviews will interest crafters – it is always fascinating to see how something goes from concept to creation. Paper toys have a huge following and there are a number of artists that have taken them to new heights – my favourites (and included in the book) are Dolly Oblong, Cubeecraft and Eloole. 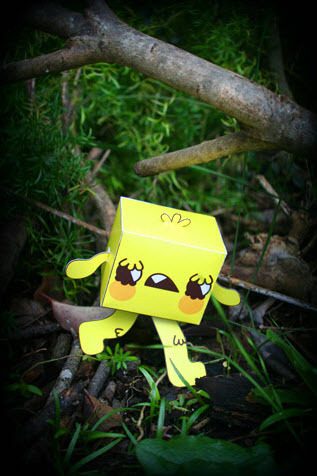 We Are Paper Toys is available at the Book Depository for $28.80 (including delivery).